Why did I read this book: Because I was curious. Because I thought this could have been a great YA equivalent to Black Swan. WARNING: this review contains spoilers as well as the occasional CAPS LOCK OF FURY AND FRUSTRATION. You have been warned! Here, let me start by spoiling this review for you by cutting to the chase: Dance of Shadows is spectacularly bad. It does actually have a promising premise that mixes the strenuous world of Ballet and a supernatural mystery involving disappearing prima ballerinas as well as demons. Oh premise, you could have been so much fun had you been proficiently handled. Alas, no. The execution is so poor, it takes that premise and turns into a story that is really and truly laughable in the end. I was reading Dance of Shadows and thinking about writing as craft – you know, that thing where skill meets care? I was dismayed at the utter lack of said craft when it came to Dance of Shadows. The book opens with a prologue, in which a ballerina named Chloe dances a ballet number and then is taken over by something and disappearing – it is pretty obvious something supernatural happened. Cut to the actual story as it begins at the New York Ballet Academy, the most prestigious Ballet School in the country, where 15-year-old Vanessa Adler is about to start her studies. She is a natural-born dancer with an incredibly powerful talent, one that requires little work. When Vanessa is dancing is like she loses herself to the dance and the real world disappears. But she doesn’t really like dancing, not really. The only reason why she is going to NYBA is to find out what happened to her sister Margaret who attended the school before disappearing three years before when she was about to start in the infamous Firebird ballet. This is the same role that Vanessa herself lands after she effortlessly impresses the school’s main choreographer Josef Zhalkovsky. There Vanessa will discover that, in the past 20 years, other girls involved in the Firebird have disappeared. And when one of her new friends is gone without a trace she starts to wonder about her own safety. Now Vanessa must find the time to investigate these disappearances in between rehearsals and falling in love with heartthrob #1, Zeppelin (recipient of the just now created The Book Smugglers Award for WORST CHARACTER NAME EVER) as well as fighting off the attention of heartthrob #2, Justin. Perhaps with the question of plausibility. It is established that the New York Ballet Academy is the finest school in the country. And yet, people disappear without a trace and have been disappearing for the past twenty years and NOBODY DOES ANYTHING ABOUT IT or connects the dots that might link these kids to the Academy. Similarly, all the students seem to be stuck to this ONE choreographer that is a bully who ridiculously tells people off when they don’t know a number THEY HAVE YET TO LEARN. The novel ends with the choreographer disappearing and the school doesn’t really care that much at all. No fuss about it. You’d think that that such a prestigious place had better standards but apparently not. Then there is the way that things are established rather than developed. As such the main character has a circle of best friends as soon as she sets foot in the academy as well as a group of Mean Girl antagonists (a group of “skinny” girls who all look and behave the same, of course). When one of her friends goes missing, her group of friends say things like “she’d never do this” but as they barely know each other, how could they know? This becomes especially problematic when combined with the issue of pacing. In SNAIL TIME: most of the book when dealing with minutiae like what people are wearing. At the SPEED OF LIGHT: the most important parts – the actual relationships, the characters’ arcs. It already felts like they were intimate, that they had known, maybe even loved, each other in some previous life. Granted, this is a sign of a very immature, naive protagonist – except that there isn’t much in terms of character development at all. Because we all know that wanting to kill you = wanting to make out. But that’s ok because Justin is actually just trying to save her. As such he spends the entire book and most of their interactions going around in circles, being cryptic and rude to Vanessa and telling her to go away without explaining WHY (considering how she is CENTRAL to a plot to bring a demon into the world, you’d think people would be more forthcoming). But that’s ok because we all know that being cryptic really works and not listening to each other is really a logical way to behave even though Justin KNOWS Vanessa wants to know more about her sister’s disappearance and Vanessa KNOWS that Justin is aware of what is truly going on. Vanessa’s entire motivation is based on her wanting to find her sister so it is really understandable that she would spend little to no time actually finding out what happened to her (that’s irony, by the way). That brings me to the issue of plot-sustainability. Because the prologue makes it so clear (to the reader) that something supernatural is afoot, the fact that the prologue even exists basically removes any potential tension from the rest of the book. At the same time, this makes for incredibly frustrating reading because the main character is completely clueless to the supernatural angle of the story. The entire arc of the novel has the main character questioning What Is Happening, when the reader knows full well what is happening – that all the ballerinas have supernaturally disappeared – even if we don’t have all of the details or the WHY (although one can infer). And then, when you do finally get to the why, it surfaces that some dancers are actually NECRODANCERS capable of using dance to do EVIL THINGS and raise demons FOR REASONS. And there is an actual secret underground dancing group called THE LYRIC ELITE. At that point I was hoping for the book to finish already and started laughing outright. But then I started crying because how does tripe like this get published? Notable Quotes/ Parts: No quotes but you can read chapters 1-3 HERE. Rating: 3 – Horrible, barely readable. I was going to get this because the premise sounded cool but I think I’ll give it a miss now. Lawd, my brain hurts now. I think I’m more upset by books where the premise is so PROMISING and the execution so AWFUL than I am by nearly anything else bookish. Because…well, it feels like you’re letting down the side, you know? Well, you *do* wonder when the book blurb itself contradicts itself before the book even begins. But we were just told she’s aware cuz she’s careful of who she trusts and….pffffft. That aside, I just detest plot holes such as the Nobody Seems To Care When Obvious Bad Things Are Happening ones. Tie your plot sneaker laces, people. Prologues like you mention in this one? Gah! Very annoying when they do that! Are we sure she’s not trying to parody Dr. Horrible? Or Heinz Doofenschmirtz of Phineas & Ferb? Honestly, I’m kind of sorry she isn’t; because it would be brilliant if those names were meant to be funny. Seriously the names in the book are really made for Lolz, there is no way of taking these seriously (and they ARE meant to be). @Kmont – I didn’t even realise that about the blurb but you are so right! Necrodancers seems like a neat idea. Too bad. Seriously, like Liz said, thanks for reading so we don’t need to. You know, read Lord of the Two Lands, it’ll get the taste out of your mouth and it’s Egyptian historical fantasy done right. It’s in your Kindle books already. I second the recommendation for LORD OF THE TWO LANDS! That’s my favorite Egyptian-setting fantasy. Not that there’s a wide selection, but still. Is Zeppelin’s middle name, Led? I read this one too and I likened the experience to being slapped with a neon pink fish that screams “THIS IS SUSPICIOUS AND YOU SHOULD LOOK AT IT.” That’s just as obvious and ridiculous as Dance of Shadows turned out to be! Great review, Ana. I wanted this to be good so badly, but it was just plain bad. Also, I kinda love your CAPS LOCK OF FURY AND FRUSTRATION. I don’t pull it off half as well as you do! My nomination for inclusion in the Worst Character Name Ever category is: Bitterblue. I hate that name so much that if affected how I felt about this otherwise interesting character. The name makes me stabby. It makes me blue and, yes, a little bitter. Seriously, am I the only person this name bothers? In all the reviews of this book I’ve read no one has commented on the stupidity of that name. It doesn’t even make sense in the world in which the character resides. There are some of the standard fantasy odd names but none as awful as this one. Ending rant and stepping off my soapbox. Phew, I feel better getting that off my chest. Blech. I was hoping for a YA Black Swan too, but I guess I’ll avoid this then. On that note, if you have any interest in what this could have been, and you aren’t prejudiced against anime (especially ones with silly names and first episodes that fail to indicate how awesome the rest of the series becomes) you should totally check out Princess Tutu. @Eliza: I suppose it kind of makes sense. Po’s name was Greening, so maybe everyone from that island has crazy color names? My morbid curiosity still has me questioning if, maybe, I should read this (much the same as it has me questioning if I should read THRONE OF GlASS.) Bloomsbury can be…scary, at times, if they publish the wrong thing. I’m not in ballet, I barely know ballet, but I know enough from watching Dance Moms that A) professional dancing requires hours upon hours of work and dedication, always (one talented child that appeared on the show this season literally spent 6+ hours a day dancing, two just warming up), B) getting into the NYBA would require said devotion and total concentration in dancing, and C) why would her parents/friends/ect. let her attend the school after her sister disappeared? So sad! One of my favorite things are books/movies related to dance, but this definitely sounds like something I’ll pass over. Yeesh. O_O! I feel like I’m your evil twin right now. *grinning* I’ve covered pretty much the same points but concentrated on dancing in the review and even gave it the same rating. Coincidentally, I feel better now because I absolutely hate writing negative reviews. I forgot all about The Lyric Elite, but yes it was laughable! 🙂 Fabulous, absolutely fabulous review, Ana! I try to be gracious about ridiculous character names but Zeppelin is just awful. Everyone else had very bland common names and then he comes along with that stupid name! What a disappointment! It’s so irritating when a book fails to live up to its premise, and this one looks like a spectacular fail. Thank you for saving me from reading it. I, too, hate it when promising premises just don’t get lived up to by the execution. That cover is so pretty, though. I was staring at it at the bookshop yesterday. I am so sad to hear this book was not good! i love the cover and really wanted to read it! at least now i know not to waste my money! thank you! I read the book and i loved it everything she said wAs rubbish i loved all off it!!!! So do read it its reallly good!!!???? on to point out “Corn is up 44%, milk is up 6. Though pizzas are incredibly rich and exceptionally fattening Domino’s has were able to maintain their nutritional value by using newly baked breads and vegetables and lean meats. OMG when does the next book come out??? i am have a hard time trying to find another book to read. 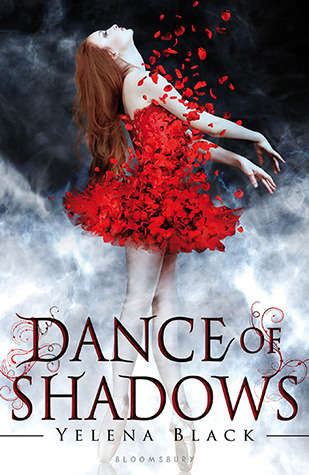 The dance of shadow was the only book that i couldn’t stop reading. I finished it way to quickly. My friends and family want the next book to come out too. To shut me up. LOVE LOVE LOVED it.